Each Wellness Program we provide is specifically designed to meet the unique circumstances of the business or organization we work with. 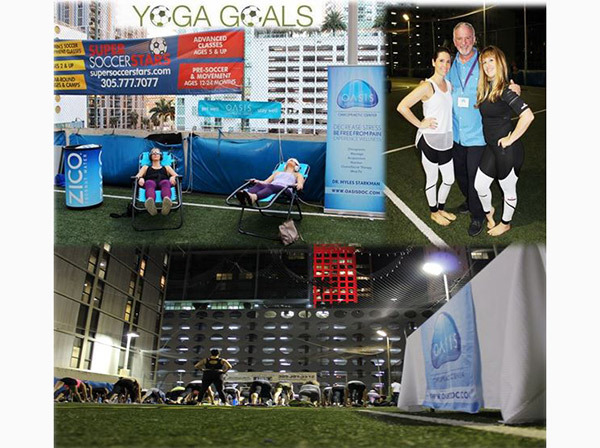 From our experience there is no off-the-shelf Corporate Wellness program that works for everyone. We develop each program by listening to your particular goals and needs. We work closely with your Human Resource Manager and/or Wellness Coordinator to carefully assess key factors that influence your unique work space. This collaboration helps us create a customized Wellness program that helps your company achieve their specific objectives. You’re in charge!!! We’ll do as much or as little as you feel your team needs. 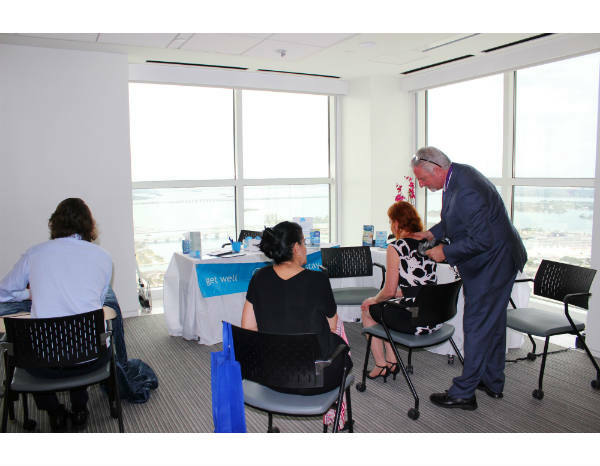 Dr. Starkman has been helping companies reach their health goals in the Miami/ Brickell and Downtown area for over 20 years. 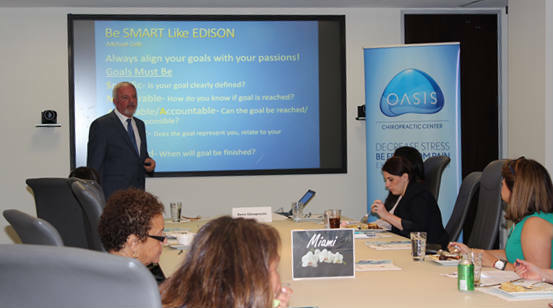 Feedback has been excellent and shows that the majority of the participants find that implementing Oasis Corporate Wellness into their work space is extremely valuable. Below are just some of the few places we’ve had the opportunity to work with. Dr. Starkman has been a trusted Law Firm Speaker since 1995; we’ve also had the opportunity to work with a multitude of different and unique companies. In addition to his speaking engagements, Dr. Starkman has had a media presence in both print and broadcast. 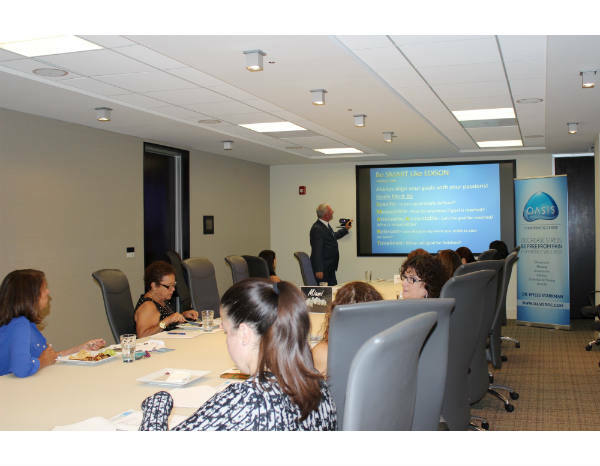 Dr. Starkman has been a guest expert in Univision 23 Miami and WPLG Local 10. 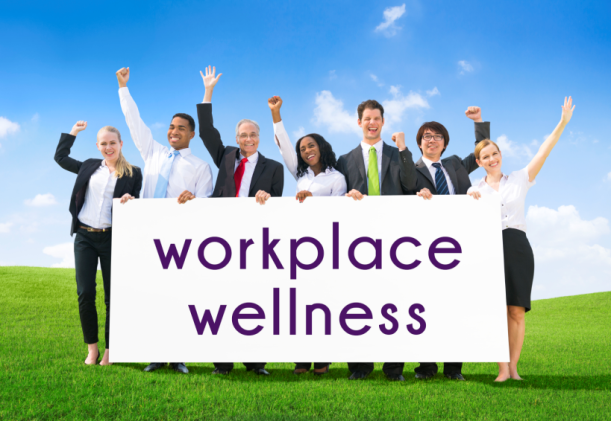 More and more, businesses are adding wellness programs to their employee benefits. 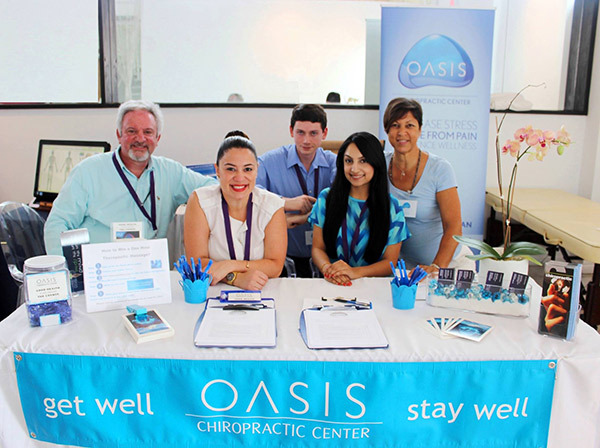 Oasis Corporate Wellness is a corporate wellness program that brings chiropractic care, health education, nutrition and many stress-reduction services to companies of all types. We are a one-stop solution for all your Corporate Health Needs. 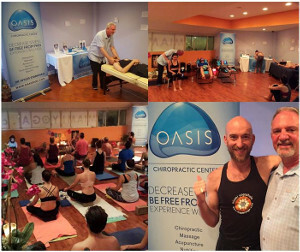 What’s unique about Oasis is that we do most of it all on-site, with Dr. Starkman leading the charge. 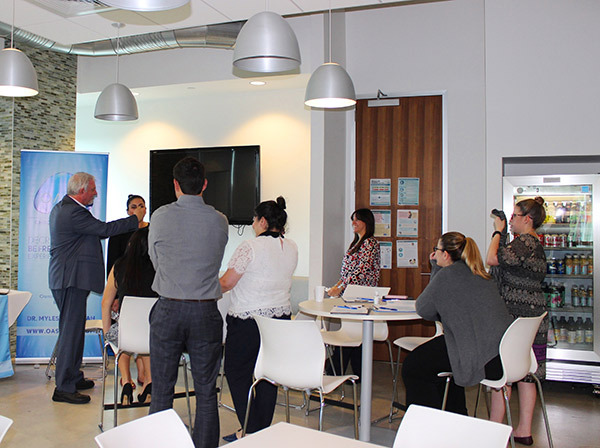 It’s a wellness program that offers being on-site thus inspiring true engagement from your employees, leading to happier and less stressed employees. The simple perception of having a culture of health can affect employees in a positive manner. The connection between health and job performance is a known factor, and many companies are now realizing success can only be achieved by a healthy workforce. 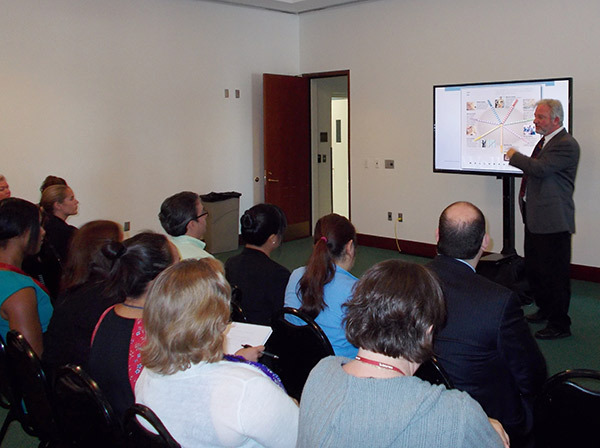 The integration of healthy living initiatives benefits both employers and employees alike. We want you to feel comfortable with all aspects of hosting Wellness Events, which is why we meet with you before your event to go over every detail. You’ll have an opportunity to meet Dr. Starkman and possibly some of our staff members that will be participating during the event. 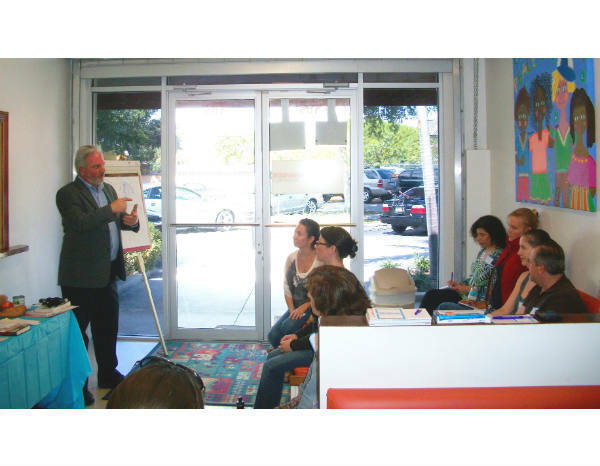 You’ll go over establishing goals and objectives that create a clear direction for planning and executing your event. This is also a great chance for us to assess your event space. Logistics are key for a successful event. We want to make sure we consider the space you have available so we can determine the setup and space needs before the date of the event. 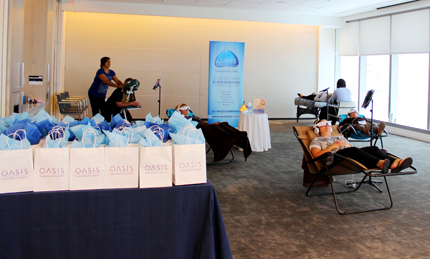 Oasis has developed this unique experience and has made stress reduction services more accessible than ever. 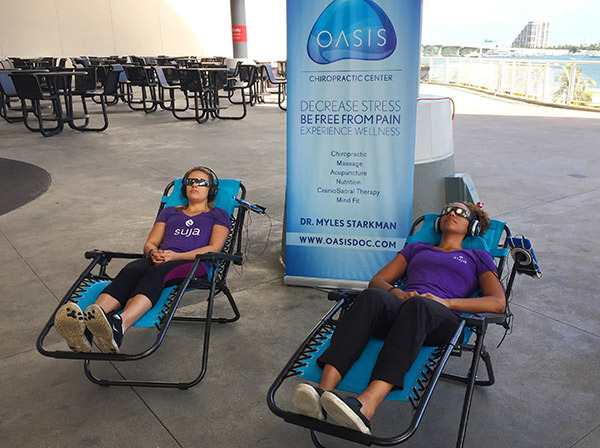 What is the Oasis Relaxation Station? 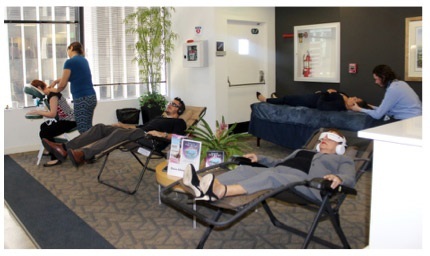 It is when we bring our staff to your business and set up a series of natural- none invasive stress-reduction services for all employees who are interested in participating to try. We are also available to answer any health & wellness-related questions your employees and coworkers may have. 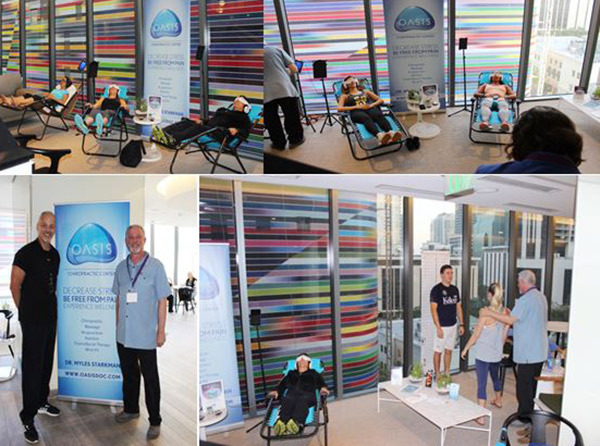 It’s very easy to set up a Relaxation Station at your business, we bring all the supplies and equipment we need for a wonderful stress free event, after all it is called the Relaxation Station. This is a 30-60 minute presentation designed to share information about Stress Reduction, Wellness and Health with your co-workers during lunch. 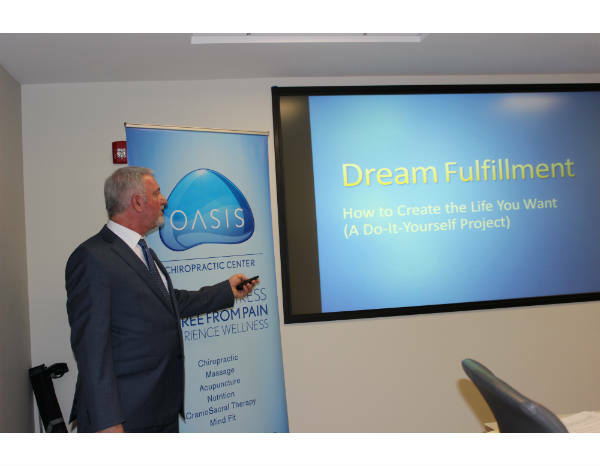 This presentation can be based on an array of topics ranging from spinal care to stress management. 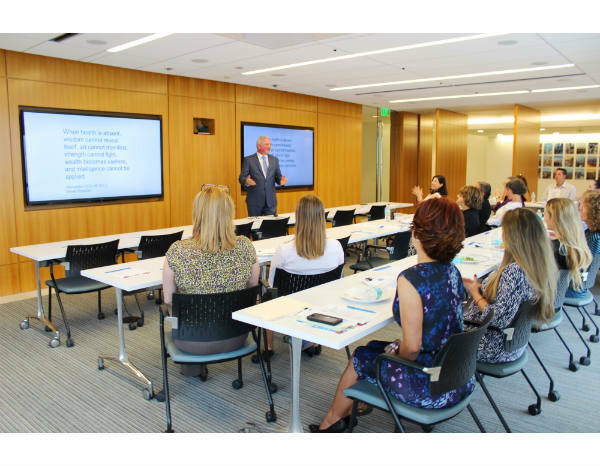 Our mission is to educate as many people as possible towards optimal health by providing quality health education for your team. Sitting at a desk or in front of a computer screen for extended periods of time, as well as poor nutrition throughout the work day can contribute to many of the physical and emotional health problems employees’ face. 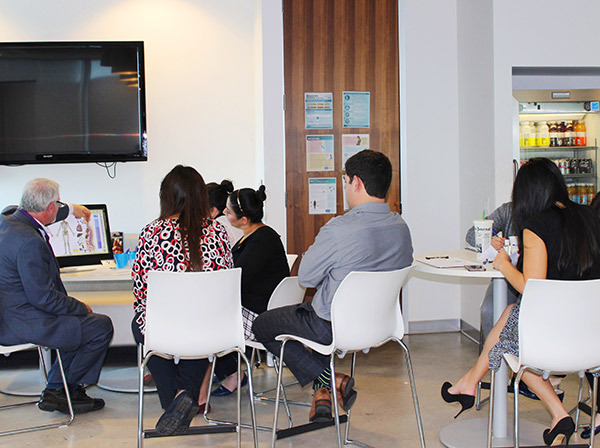 Give the gift of health to your team, schedule a Lunch & Learn today. Personal Wellness Coaching with Dr. Starkman consists of one on one Employee Health, Wellness, Stress and Weight Loss Assessments and Programs. 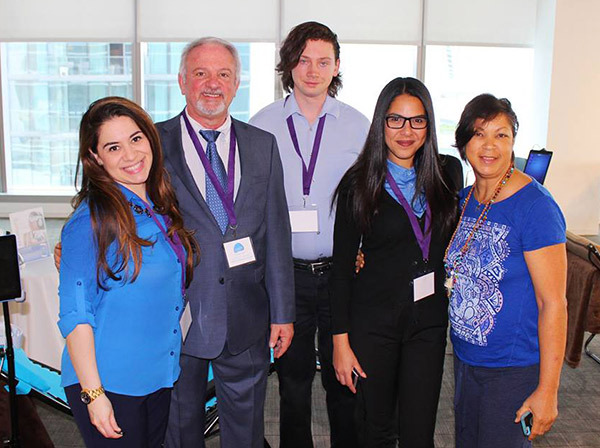 Dr. Starkman works with individuals to help set goals for improving their health and well-being with an important focus on reducing stress naturally. Coaching can be conducted in person (at Oasis Chiropractic Center and/or at your office) or through a combination of online resources and telephone conferences and can be enhanced by educational materials. Studies have shown that one-on-one coaching can improve the chances of reaching healthy goals. 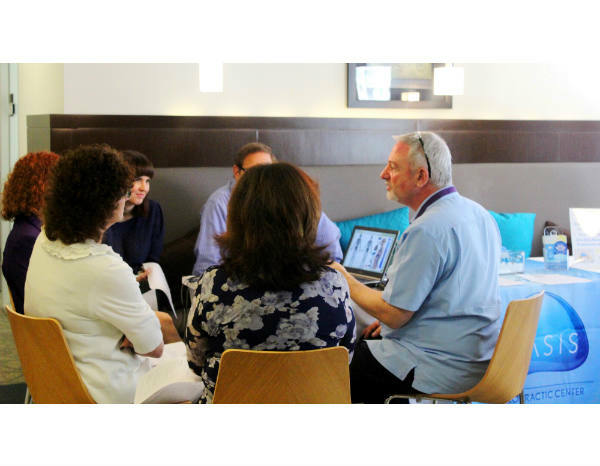 This is also ideal for Business Executives and CEO’s who would like a more private approach. 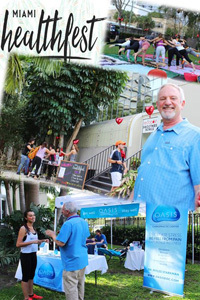 *This is a paid service at a discounted rate for companies participating in the Oasis Corporate Wellness Plan. The purpose of ergonomics is to reduce fatigue, discomfort, injury and emotional stress. Effective ergonomic design in the workplace promotes comfort, increases job satisfaction and productivity; and can also help reduce workplace injuries. Dr. Starkman provides ergonomic consulting services to local companies and patients who want to create a healthier work environment or have signed up for a complete Corporate Wellness Program. 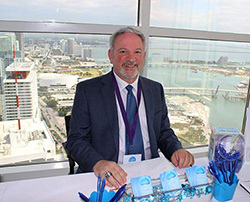 Dr. Starkman offers on-site workstation evaluations, helping identify ergonomic risks factors and offering recommendations from workstation design and layout to keyboard and mouse techniques. He also instructs users on chair features and reviews proper seating and posture. The key objective for clinicians is to find a position that allows them to achieve optimum access, visibility, comfort and control at all times. With the professional goal to deliver the highest quality of care for a reasonable profit, the practice of ergonomics becomes a core focus in determining how to achieve practice success with less stress. So whether you currently have an ergonomics program in place, or are considering implementing one, you owe it to your workers and yourself, contact us today for more information. Holistic Health Screenings give your employees a clear picture of the state of their health through non-invasive full-body analysis. We use the latest in computerized, electro-acupuncture diagnostic equipment. This scan avoids lengthy and invasive tests: it’s also entirely pain-free. The screening will take between 10 to 15 min. per participant. This will involve a brief consultation with Dr. Starkman followed by a series of electro-acupuncture readings to highlight specific areas of weakness and how stress if affecting the body systems. AcuGraph measures electrical resistance between different parts of the body using traditional Chinese acupuncture points on the hands and feet which relate to different organs. Specially designed probes are painlessly applied to the surface of the skin to measure minute changes in electrical resistance. 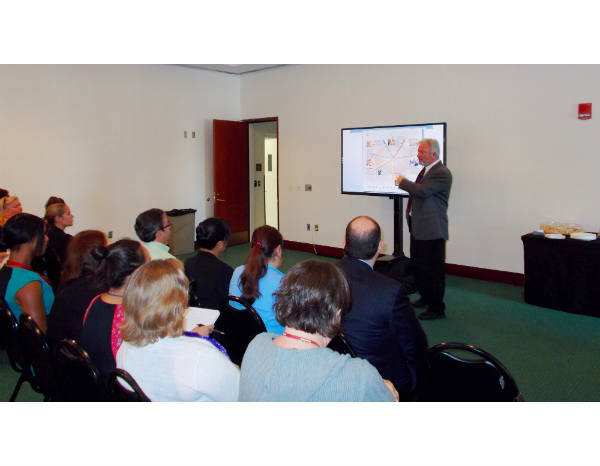 The results are recorded, analyzed and interpreted by the Dr. Starkman using the latest software. 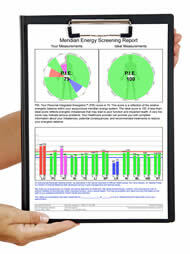 This results in an extraordinarily detailed picture of the functioning of the patient’s systems, graphically represented in pictographs and text, this comprehensive screening report is provided to all participants to take home and share with family and friends. This is an important and worthwhile test that standard health screenings and physical exams don’t include. To get your whole team feeling, and functioning better, schedule your Holistic Health Screening today. 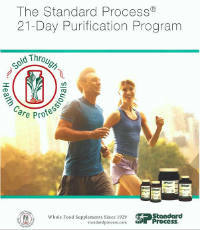 Holistic Health Screening at Terremark Worldwide, Inc. Attempting big goals, such as losing weight, can be more fun with a group, and you may find more success if you’re not doing it alone. If you’re having trouble beginning a diet plan or following through, you’re not alone. We’re sure one of your co-workers is experiencing the same difficulties. Oasis has designed the ultimate in Detox & Dieting in collaboration with our wonderful Wellness Partners. 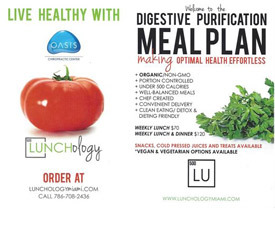 Standard Process easy to follow Purification Program and Lunchology’s Organic and Vegan meal delivery service is a sure win recipe for the entire team. 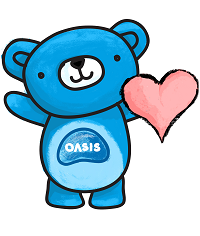 You’ll have easy 24-Hour Access to a member of the Oasis Team to answer any questions and offer you support during these 21 Life Changing Day’s. There’s no question that’s too silly, we’re here to help your team every step of the way. This plan also includes scheduled phone consults with Dr. Starkman to track your progress and materials like healthy recipes. Contact us today to get this amazing team building experience started. In the workplace, the general benefits of yoga translate to increased creativity and productivity, decreased absenteeism, and fewer work-related, repetitive-action injuries like carpal tunnel syndrome and low back pain. 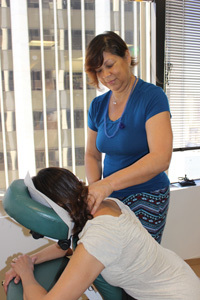 Employees will notice an increase in energy level, improved concentration, less physical tension in the back, neck and shoulders, and a sense of physical and emotional balance. For classes held at the workplace, a clean, quiet room with ample floor space will be needed. Each student will need a yoga mat. No room to roll out yoga mats, or time to get changed in to yoga wear? No problem. 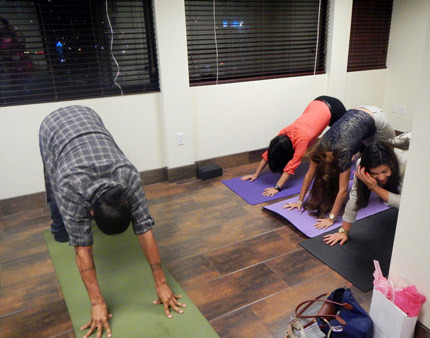 An Oasis Chair Yoga class will allow you to get your yoga fix, even if you’re short on space. In a chair yoga class you’ll practice postures sitting on or standing by your chair that will be specifically tailored to alleviate the aches and pains of desk-bound work and can easily be practiced at your desk, while wearing your work clothes. Some stress-busting breathing practices will also be included. Corporate Stretch Classes are a wonderful way to look after your staff and a great way to focus on Health and Well Being. This class is for anyone who would like to increase their flexibility and range of motion. Promotes better posture & flexibility Creates better joint movement It feels good to stretch the body just once a week Stimulates and encouragers blood circulation in the body Helps in the prevention of injuries within repetitive working practices Classes are best run over a one hour period and can be offered at a shorter duration of 45mins to fit in with the office lunch break ect. 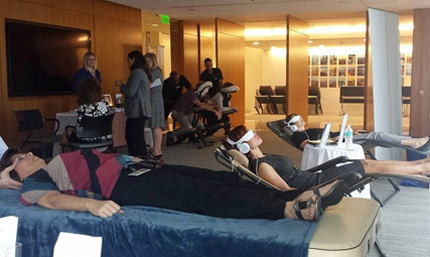 On-site Wellness Events are a great way to show your employees you really care about their work and life balance. Acupuncture can help improve your corporate culture by keeping your staff relaxed, refreshed, happy and healthy thus increasing productivity. Here are just some of the benefits of Acupuncture: Great for stress reduction and relaxation. Can help with any stress or pain related condition. Helps with musculoskeletal pain and tension. Can alleviate headaches. Can boost energy and combat fatigue. Can combat brain fog and improve memory/concentration. Can remove blocked energy and promote creativity. Minimum booking time is 2 hours/ Maximum booking time is 4 hours Set-up and take down time are not billed for, just treatment time. 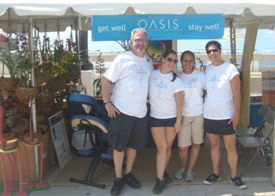 Oasis provides all supplies and services to render treatment. 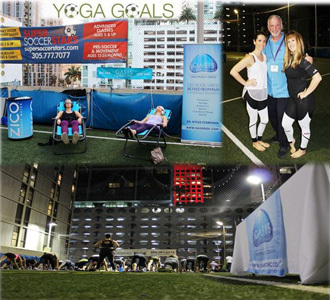 Your company provides the practice space and promotes the event to your staff. Patients are treated while clothed but may be asked to lift pant legs to knees or shirts to elbows, and take shoes and socks off. 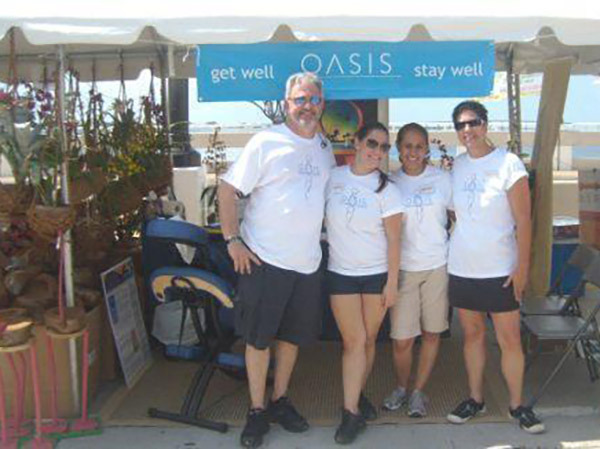 Oasis Chiropractic Center values patient privacy. Blank intake forms will be emailed & filled out in advance by employees in order to cut down on open dialogue and preserve confidentiality. 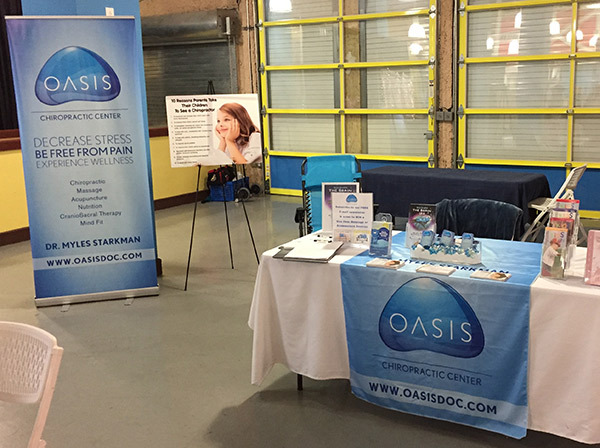 Part of our mission at Oasis Chiropractic Center is to bring health and education to the public. 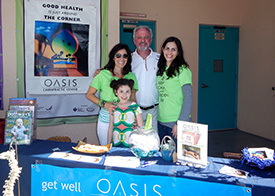 Our team loves planning and participating in Health Fairs. 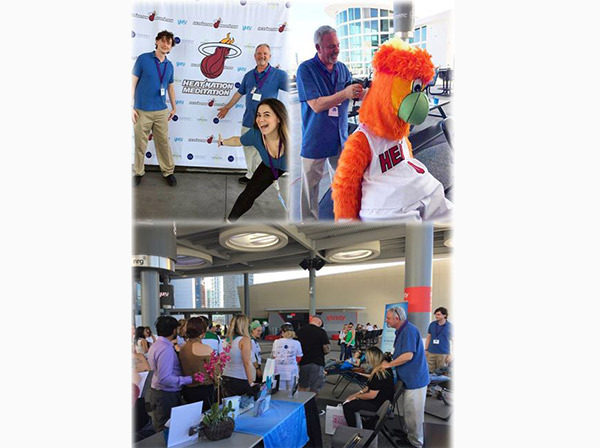 Corporate Health Fairs are also a fun way to show your employees that you care about their health and welfare. Everyone loves free information and appreciates the chance to ask questions in a no- pressure atmosphere. 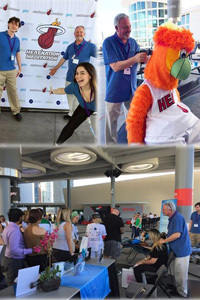 Corporate Health fairs are also an excellent team- building opportunity. 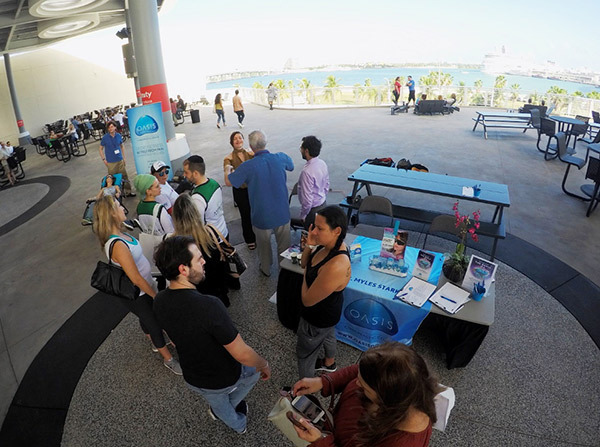 Community Health Fairs uncover and provide the platform to correct misconceptions about health and wellness, in a non-confrontational setting that can lead to positive discussions about a large array of health subjects. They are also an excellent way to engage your local communities in caring for their health and their family’s health. 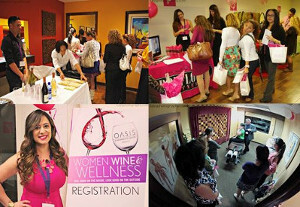 Interested in hosting a Health & Wellness Event at your business? 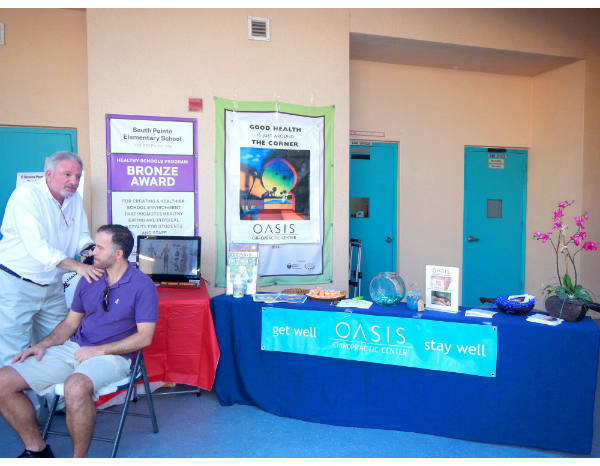 Need help setting up your first Health Fair? Need another Vendor for your planned Health Fair? 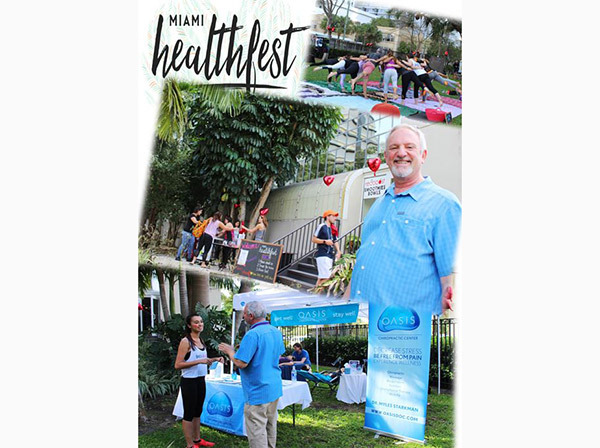 We have a great working relationship with our Wellness Partners and several health oriented businesses in the local Brickell area, and would be happy to help organize a health fair for you. 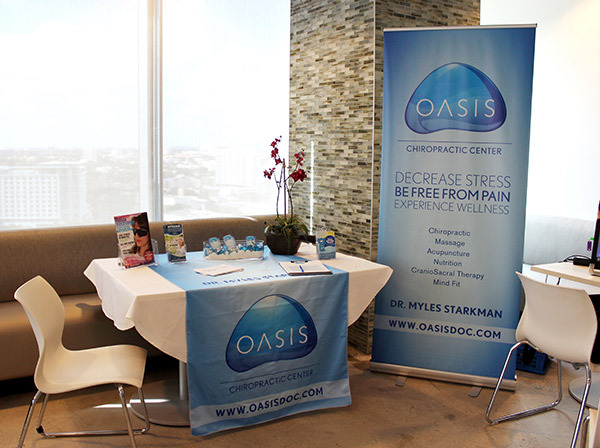 Schedule Oasis Chiropractic Center to participate in your next event. Don’t worry if implementing a Wellness Program seems out of reach for your business. You don’t have to do formal strategic planning or build a gymnasium to encourage a healthy workforce. That’s what we’re here for. Wellness initiatives are possible no matter how big or small your company is. A healthy workforce begins with just making health a priority in your workplace. 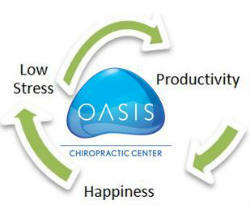 So if you’re ready to start building a culture of wellness and less stress at your business, Oasis is here to help. The best part of it all? Most Services we provide are Free. Absolutely ZERO out-of-pocket expenses for your company on many services! Yes, that’s right it costs nothing but your time and dedication to making your team healthy. Why you ask? Because our main focus is the opportunity for a positive exposure with your employees. We want individuals who are interested in wellness and health to have a trusted holistic doctor and wellness office they can trust and depend on. 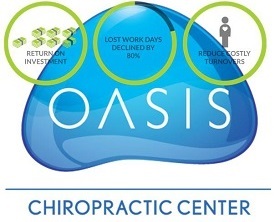 By informing and educating our community about the wonderful services we offer here at Oasis we are able to grow as a business while supporting others reach their health goals be it as a business or as an individual. 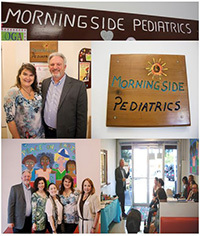 Dr. Starkman is passionate about helping others. By having a platform to do just that we can continue the same missions we’ve been on for over 30 years, helping people live a happy, healthy, and stress free lifestyle. 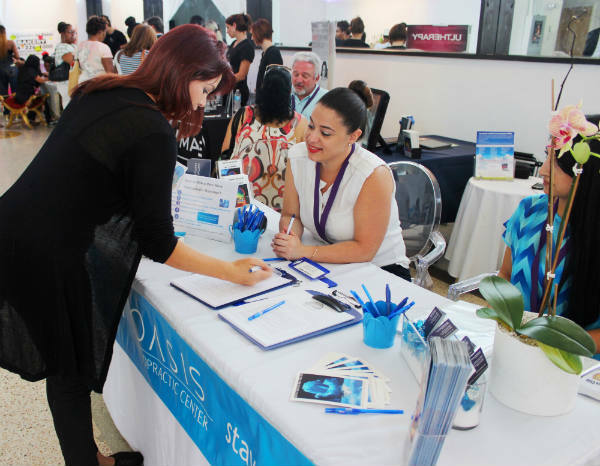 To get started, simply call our office and speak to Maidel (link to our team), our friendly office Manager and Wellness Concierge. She will answer any pending questions you may have. You can also email her at maidel@oasisdoc.com We look forward to talking to you soon. High stress can result in depression, anxiety, compulsive behaviors and substance abuse. Excessive stress can interfere with your productivity at work and impact your physical and emotional health. It can also lead to headaches, body fatigue, back and neck pains, insomnia, stomach disorders, hypertension and even high blood pressure. Employees can become irritable or withdrawn. It can wreak havoc in any work space. Chronic absenteeism and tardiness can become a major problem for any company, and an HR nightmare. Is your business at risk? Are your employees happy and healthy and showing up on time or at all? Or are they stressed out beyond being able to work at full capacity. Dealing with the occasional fluster at work won’t automatically up your heart attack risk, but every day shouldn’t feel like a struggle for your sanity. Long-term stress can lead to a very unhealthy team. This is why helping your employees reduce stress can be so beneficial to your company. Work is where most people spend the majority of their life, so it only makes sense to implement stress reduction and wellness concepts in your business. 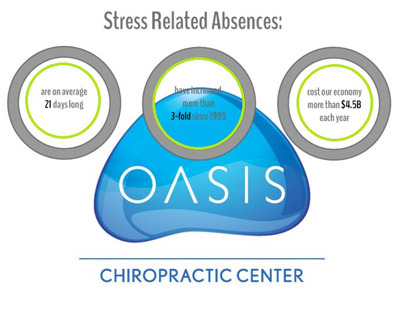 Oasis main objective is to reduce STRESS and address health concerns through a holistic and natural safe approach, while making it simple by delivering health services right to the convince of your office or workspace. Affordable Wellness Care is another way to reduce stress. 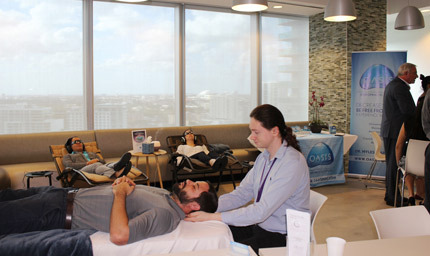 Employees can receive care in the privacy of our office at discounted Corporate Rates, only available through the Oasis Corporate Wellness Plan. Employees today value choice. A holistic approach to worker wellness and “nontraditional” offerings are hallmarks of successful companies. Offering your team discounted rates on services not available or covered by traditional health care plans gives your employees another great option in making healthy choices that are right for them. When employees feel appreciated and taken care of, they are much more likely to stay with their company. Wellness Corporate Rates are essentially happiness and loyalty insurance. 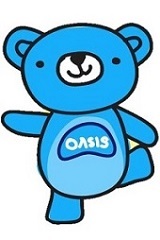 Oasis Corporate Rates are offered at no expense to you! This will help you attract and retain top-notch talent without breaking the bank. A lot of company’s battle to keep employees happy with increasingly elaborate perks, but they struggle with doing so under budget. Showing appreciation to your employees doesn’t have to be expensive. Your small business’ budget may not allow you to lavish them with large bonuses, extravagant trips or expensive jewelry, but people do recognize when you care about their health. 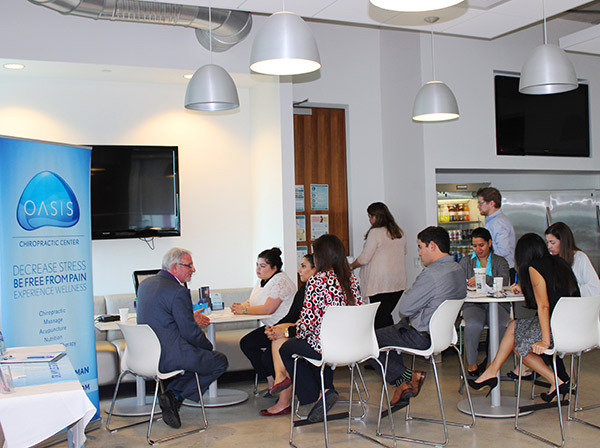 Oasis offers convenient access to your employees. We always offer Corp Rate participants priority access, with same day appointment request availability. We know how important it is for your employees to get back to work quickly and feeling great. With over 20 types of Services all at one location it saves your staff time. Wellness Care is a team effort. Having the convenience of getting several types of services all at one location is priceless to busy employees. These are just some of the reasons we think you’ll love offering the Oasis Corporate Rates to your staff. To learn more about Oasis Corporate Rates for your office, contact us today for a free, no-obligation consultation. It’s very simple, really. Our mission is to help people thrive through a stress-free and pain-free lifestyle. Smart businesses share a similar mission for their employees, one where their workers are encouraged to improve their health, decrease their stress and increase their energy and productivity. 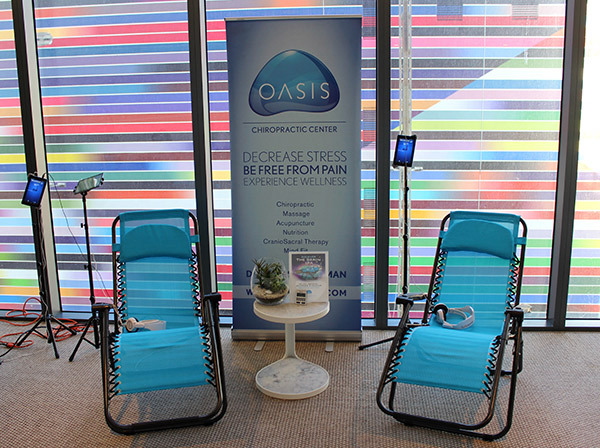 Oasis makes it possible for companies of all sizes to encourage wellness and stress reduction at work. Dr. Starkman is committed in delivering his expertise and years of experience to your business. We offer the ultimate in convenience to your employees, bringing health to them with our state-of-the-art equipment and friendly and knowledgeable staff. We make choices every day; some good some bad. Unfortunately in today’s world most people do not necessarily make the correct choices as it relates to their health and wellbeing. That is why our health care team at Oasis Chiropractic Center is devoted to helping everyone perform at their optimal level of wellness. Whether it be through educational seminars and health talks, hosting holistic health screenings, or providing on site and in office care – we are dedicated to help our community and patients make great choices. We believe that a healthy company starts with a healthy team. It’s not just physical health anymore; it’s more about all-around employee well-being. An upbeat, stress free, happy and healthy, productive workforce — Isn’t that what every employer dreams of? 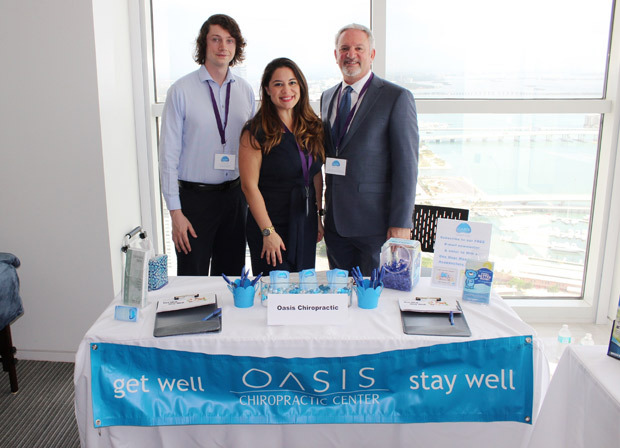 Here are just a few of the benefits that our Corporate Wellness Partners have reported from utilizing our Oasis Wellness Program.